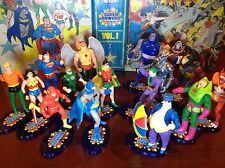 CHOOSE: Vintage 1989-1994 Batman Action Figures * Kenner * Combine Shipping! This is the Adventures of Batman & Robin Rogues Gallery. Produced by Kenner in 1996, they are mint mint wit the box, but the Harley Quinn is missing from the set. These have never been removed from the box. 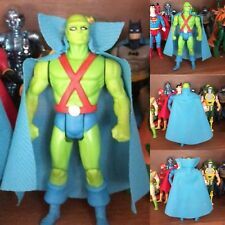 DC UNIVERSE CLASSICS MARTIAN MANHUNTER WAVE 15 BAF. 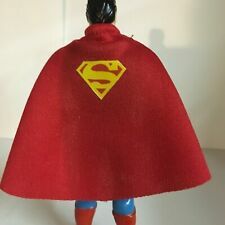 1986 Kenner DC Super Powers Action Figure Shazam w/ Custom Cape Complete. Condition is Used. Shipped with USPS First Class Package. -The Shazam action punch does not work. Figure comes with a custom cape. It is not the original cape. Nice clean figure. Barely been played with and in great condition. I would appreciate it! 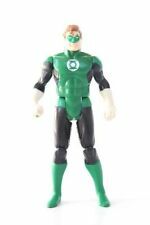 DC COMICS SUPERMAN MAN OF STEEL 12 INCH ACTION FIGURE WITH CLOTH OUTFIT 1996. 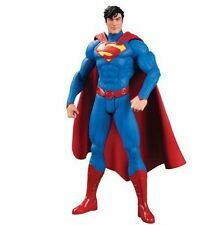 DC COMICS SUPERMAN MAN OF STEEL 12 INCH ACTION FIGURE WITH CLOTH OUTFIT 1996. Great Condition. Condition is Used. Shipped with USPS Priority Mail. Local pick up is always an option. Current value may be lower or higher. I do not want to be misleading in any way. 1990 Kenner "SHADOW WING BATMAN" Dark Knight Collection Action Figure. Condition is New. Shipped with USPS First Class Package. Comes as seen, minor shelf wear, card has aging. Released by Kenner in 1990. BATMAN ACTION FIGURE BLACK 1990 KENNER VINTAGE. Condition is Used. Shipped with USPS First Class Package. Figure pictured is the exact figure you will receive. Can combine shipping on multiple items, check out my other items at FANTASTIC prices! (each quantity of 1 = 10 stands). Pose and display your Legion Of Doom and Super Powers collection with these hard to find stands! So the more you buy, the better the deal! stands only and. Superman Ultra Heat Vision Man of Steel Kenner action figure 1996. Condition is New. Shipped with USPS First Class Package. JOINTS SEEM LOOSE, AT LEAST THEY ARE MORE LOOSE THAN THE OTHER OF THIS SERIES. Which I am neither. I am reading the year date on the piece itself and I matched up the accessories from web site pictures. 1990 Swamp Thing SNAP UP SWAMP THING Action Figure. Condition is Good/Used played with condition. NOT COMPLETE - ONLY HAVE THE LOG PORTION AND DO NOT HAVE WHAT GOES INSIDE THE LOG BAZOOKA. SEE PICTURES. Shipped with USPS First Class Mail. Batcycle vehicle with original decals in excellent condition. Works perfectly. Original box included. Display piece from a single-owner adult collection, never played with and in great shape. VINTAGE DC SUPER POWERS BATMAN ACTION FIGURE 1984 KENNER W/ ORIGINAL CAPE . Condition is Used. Shipped with USPS Priority Mail. DC Super Heroes 1989: Robin with Cape & Batarang, Loose. This does have wear, the cape is a little dingy. It is done by weight. 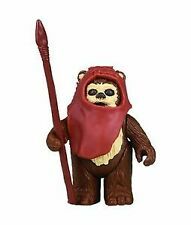 If not paid by then the case will be closed, and the item will be relisted. Green Lantern. Batman (w/ Flight Armor & Glider Cape). IN GOOD CONDITION AS SEEN IN THE PICTURE HAS A DIG & THE CRACK IN THE WIELDSHIELD. Found this in a storage unit I bought. 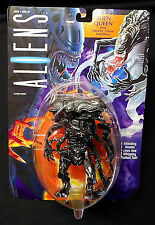 1999 by Kenner. See pics for more info and condition. Never used or played with! 80s Kenner Super Powers Steppenwolf - New in Factory Bag. Use the enlarger to see EXACTLY what you will be receiving. This is the exact item. Auction includes The Penguin, 2 Penguin Commandos, Catwoman, Sky Winch Batman, and Robin. 1985 Super Powers Wonder Woman Figure. Condition is New. Shipped with USPS First Class Package. BATMAN THE ANIMATED SERIES DELUXE MECH-WING BATMAN ACTION FIGURE (Kenner, 1993). Condition is New. Please be sure to inspect all photos; all sales are "as is where is" and final. Items are from an estate sale and boxes / blisters may have damage from storage or transportation over the years. I will always do my best to note and photo any damage I see and will be happy to provide additional photos if you ask. I ship USPS unless asked to ship a specific way and will combine shipping cost if you purchase more than one item. Check out my other offers and keep an eye out for my future listings. Thank you for looking at my item. DC Super Heroes 1989: Superman, Loose, Complete, incluing the cape, Kryptonite Ring, and stat Card. the cape is in good shape and the neck clip is intact and holds the cape. It is done by weight. If not paid by then the case will be closed, and the item will be relisted. These are used toys, but are in good condition. This was made by Kenner toys in 1997. This is new and has not been opened or play with. Wear may or may not include abrasion on the sides, creases, bends on card and bends in plastic, as well as dust from age and waviness of card. Excellent Condition but the card has slight bending as in photos.